The Belgian population data for 15 STR loci were determined in a sample of 100 Belgian individuals at the University of Leuven (Louvain)’s Laboratory for Forensic Genetics and Molecular Archaeology. The Belgian population data for 19 STR loci were determined in a sample of 198 Dutch-speaking individuals in 2006 at the Louvain Laboratory for Forensic Genetics and Molecular Archaeology. The Belgian population data represent DNA samples from 206 randomly selected individuals from Belgium. STR frequencies were reported in the most recent European database release of the Working Group of the European Network of Forensic Institutes STRbase Project (Frequencies). 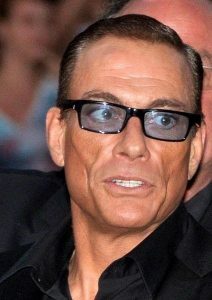 Photo: Jean-Claude Van Damme, born in Brussels, 1960. Photo by George Biard accessed on Wikimedia Commons. Source publication: Belgian (population 188): Allele frequency data for 15 STR loci (AmpFlSTR SGM Plus and AmpFlSTR Profiler) in the Belgian population, Progress in Forensic Genetics 9, 2003, p219-222. Belgian (population 308): Allele Frequency Data for 19 Short Tandem Repeats (PowerPlex 16 and FFFl in a Belgian Population Sample, JFS, 2006, p436-437. Belgian (population 424): ENFSI DNA WG STR Population Database v. 2. (strbase.org).